We are proud to be associated with and the direct mail provider for the 3in4 Need More campaign. Place your order below or learn more about the 3in4 Association and TargetLeads®. If you would like to place an order online, please follow our 2 step process below or you can call us (800) 723-5254 and we will be happy to do it for you. This mailer is a mini-letter that has proven to consistently pull over 1.3% nationally. 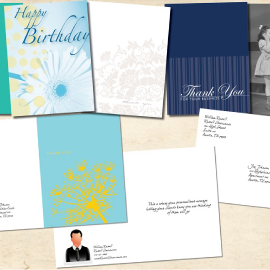 It provides the consumer an offer for a free booklet which we can automatically fulfill for you. This mailer is a mini-letter with similar text to that on the M-3in4B, with one major change: This mailer does not offer the free booklet to the consumer. Informed consumers are high quality prospects! The 3in4 Association educates consumers using a variety of methods from their TV Commercials to a Smart App and, of course, direct mail. The videos below will give you an idea of how the 3in4 Association is continuing to increase awareness on long-term care products, services and for the public to meet with a specialist to form a long-term care plan. TargetLeads® is the official licensee of the 3in4 Need More Lead Generation program. 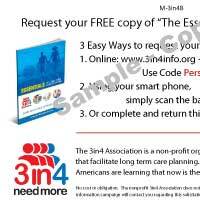 The 3in4 Association is not a lead generation company but an awareness campaign on long care planning. 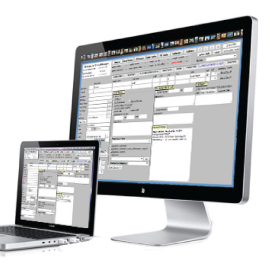 All 3in4 leads will be processed through TL LeadManager® to help you manage these leads as quickly and efficiently as possible. If you are already using TLLM we will add these to your exisiting account. If you haven't started using TLLM learn more and get ready to see a new way to manage your leads and make your life easier! Want our recommendations or to have us run your count? Give us a call (800) 723-5254 or send an email to 3in4@targetleads.com and we are happy to help!